I've been working on getting my studio set up. These fabrics will be put to great use. We're going to have curtains and a re-upholstered chairs soon. 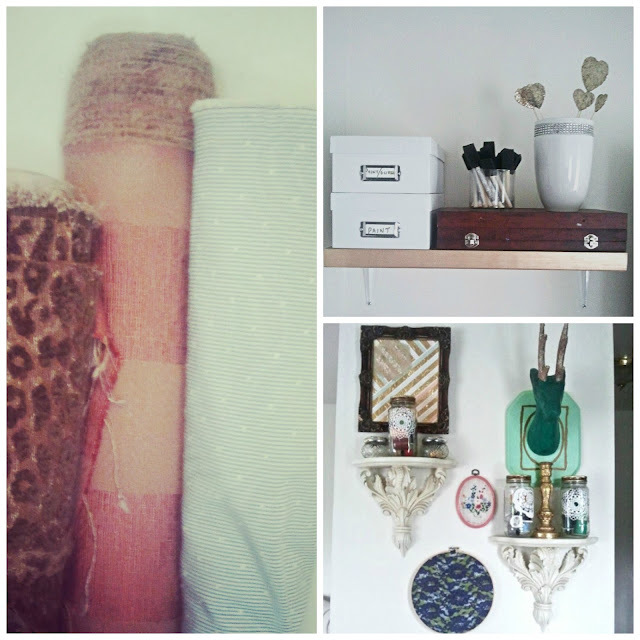 By the way, these rolls of home decor fabric are all from Goodwill. In total, they cost $7. 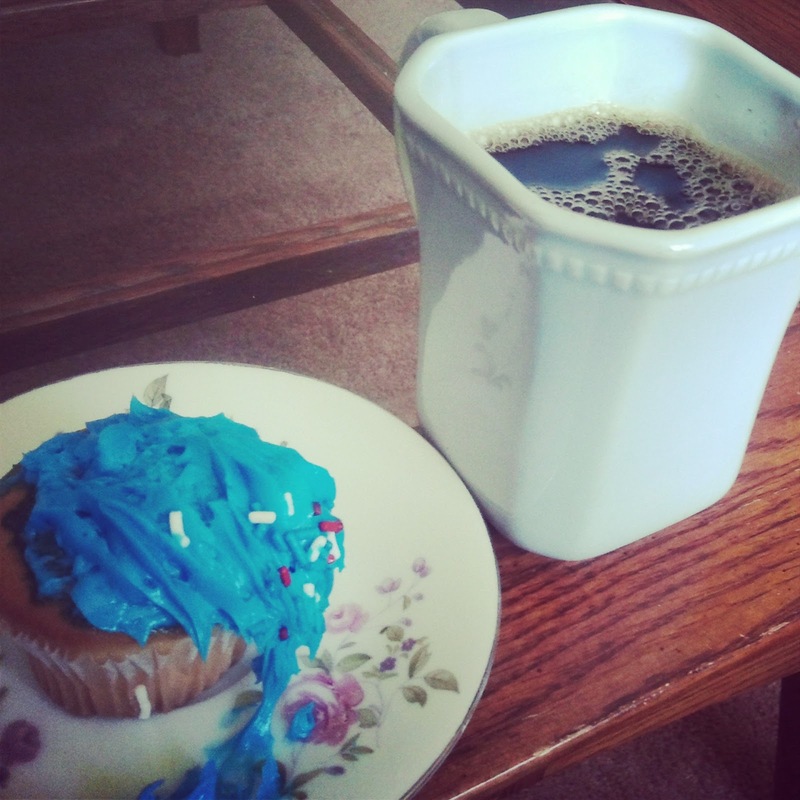 I was gifted three dozen cupcakes, so I've been eating cupcakes for breakfast. Yum! 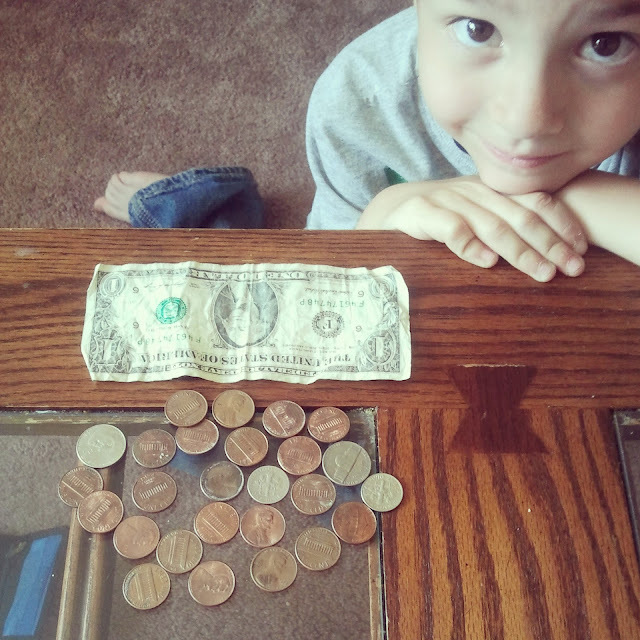 My son, Liam, was not only student of the week, he learned to count money. He's saving to buy a Lego pack he wants. It's true I'm that mom. I make them earn any new toys. My honey surprised me with this sparkly necklace. On our first date he gave me a green pendant similar to this and I was floored by the intricate design. 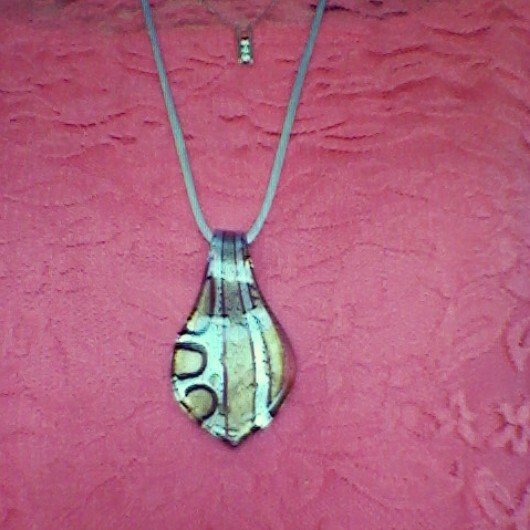 Ever since he always surprises me with new murano glass pendants when he finds them. Yesterday's thrifty finds were spectacular. 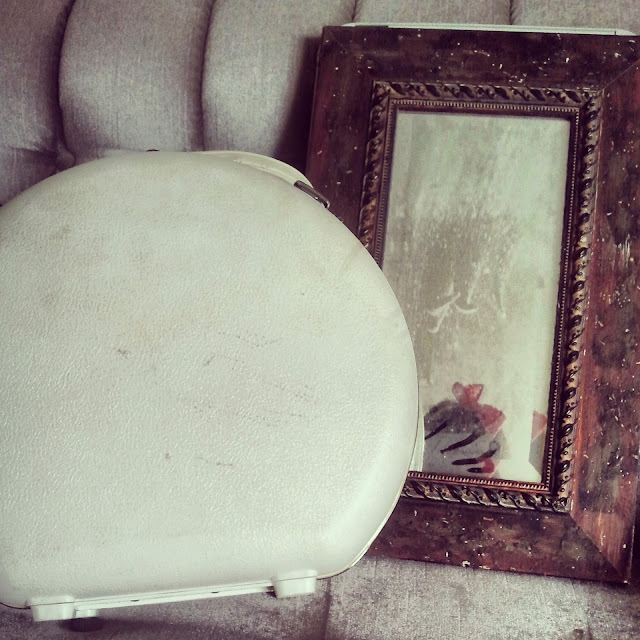 This mirror was bursting with character. I just need to decide what color to paint it. Any suggestions? And don't forget to follow me, @newlymynted, on Instagram so you can see all my daily craziness firsthand. So much love from me to you. Have a blessed day!